June | Thijs Vieleers becomes COO of BookerZzz B.V.
October | The 200,000 guest found their perfect holiday park through BungalowSpecials. September | Consumer reviewing earns BungalowSpecials a high score of 8 for service and usability. July | Jitse Groen, founder of Takeaway.com and Thuisbezorgd.nl, joins the HotelBookers Advisory Board. HotelBooker has grown rapidly over the last 10 years and expanded to Sweden, Norway, Denmark and Germany. Transforming into an international business requires knowledge and experience. HotelBooker is excited to welcome one of the most successful internet entrepreneurs to the Advisory Board. BungalowSpecials expands its number of parks to 550+. June | HotelSpecials reaches a new record of bookings in one day. BungalowSpecials expands internationally with parks in France, Italy and Spain. March | HotelSpecials offers short holidays to the German leisure market. The new website HotelSpecials.de presents a unique business model compared to competitors. HotelSpecials.de focuses on clear positioning in specials: a hotel stay with extras such as a VIP Upgrade, dinner or the possibility to bring your kids for free. All for a competitive price. January | BungalowSpecials received its first booking at an Austrian resort! BungalowSpecials proves itself as a leader in winter sports destinations. October | BungalowSpecials launches FerienparkSpecials.de. German bookers are now able to book holiday park accomodations at high discounts. September | After 11 successful years as director of HotelSpecials.nl, Remco Hofstede passes the torch to Dennis van Allermeersch. Hofstede was involved with HotelBooker B.V. from the beginning, but will now focus on the growth of sister company BungalowBooker B.V.
HotelSpecials takes its expertise beyond the border and into Europe. Austria, Denmark, Sweden and Norway are added to the list of holiday countries. Guests can book through Swedish, Norwegian and Danish websites. With this international expansion, the company invests in growing further and offers travellers new destinations. WUA rates HotelSpecials.nl number 5 in the top 100 of websites in the Netherlands. Huge progress compared to the 24th position in 2012. August | BungalowSpecials.be is launched. Flemish bookers now profit from the wide range of deals offered by BungalowSpecials. July | WUA research shows that respondents who search for hotel stays, inform themselves on HotelSpecials.nl. The travel supplier receives a 7,3 for web performance and reaches 2nd place. BungalowSpecials.nl launches a new, easy to use website with an optimised booking process. February | Guest reviews on HotelSpecials.nl reveal the best hotels. In the Netherlands Hilton The Hague is voted Best Hotel in 2012. January | HotelSpecials.dk and HotelSpecials.no are launched. This adds Danish, Swedish and Norwegian hotels to the list of accommodations for travellers. December | 5th Edition of HotelWeek. Travellers benefit from reduced prices for luxurious 4- and 5-star hotels in the Benelux, Germany and France. September | WUA nominates HotelSpecials.nl for Website of the year 2012 in the Leisure catagory. HotelSpecials.nl ranks 34th. July | HotelSpecials.nl advertorials are featured on various radiostations, such as 100% NL, Sky Radio and Q-Music. HotelSpecials.nl advertorials are featured on various tv channels, such as RTL, SBS and Net5. ‘Piets weerbericht’ and ‘De klok’ are sponsored by HotelSpecials.nl. April | HotelSpecials.nl cooperates with Air Miles. Consumers can choose over 250 selected hotels in the Benelux and Germany, with a 50% Air Miles discount. BungalowSpecials.nl is nominated for the Zoover Awards 2012. March | HotelSpecials.nl celebrates its 10 year anniversary. HotelSpecials.nl is nominated for the Thuiswinkel Awards 2012. This foundation grants trade and public awards for the best online suppliers in the Netherlands. February | HotelSpecials is nominated for the Zoover Awards 2012. Through online voting, consumers determine which travel organization receives an award. Hotel Restaurant De Wolfsberg in Groesbeek is rated ‘Best Hotel in the Netherlands with an average rating of 8,9. Hotel Week 2012. The ‘luxurious hotels, low prices’ concept expands during this 4th edition. This year also the best hotels participate, a number of 18 5-star hotels in total. September | BungalowSpecials is nominated for the Deloitte Technology Fast50 2011. March | Reviews show that 94% of bookers on BungalowSpecials.nl are very satisfied with the prices on the website. August | During 8 weeks, HotelSpecials.nl sponsors the popular tv-show ‘Ik hou van Holland’. HotelSpecials.nl is renewed. The new site is characterised by good offers, advantages, easy booking, pleasure and inspiration. HotelSpecials.nl sponsors ‘De Klok’ for RTL4 News. March | HotelSpecials.nl offers more than 3000 hotels. 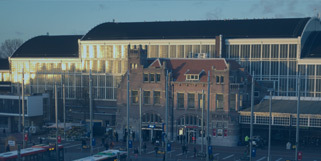 HotelSpecials.nl is featured in the Finest 50 E-commerce 2011. This yearly edition shows the 50 best companies in the e-commerce branch. February | HotelSpecials.nl is nominated for the Zoover Awards 2011. BungalowSpecials.nl is nominated for the ZooverAwards 2011. Consumers determine which online leisure specialist is granted this award. January | Klooster Elsendael in Boxmeer rates as Best Hotel in the Netherlands, with an average score of 9.1. December | HotelSpecials.nl and NH Hotels collect € 1610,- for 3FM Serious Request. Between December 18 to 24, consumers were able to participate in the Serious Request funding by booking a NH Hotel. Of each booking, 10,- is donated to Serious Request. November | BungalowSpecials ranks 29th in the 2010 Deloitte Technology Fast50. October | HotelSpecials.se launches a new design and offers hotels in Stockholm and Göteborg. September | BungalowSpecials is nominated for the Technology Fast50, an election of the 50 fastest growing technology companies. August | HotelSpecials.nl is funding the flood victims in Pakistan through Giro 555. 75 Applications were made on social media, collecting € 155, 55. June | HotelSpecials.nl launches a new gift card: HotelCadeau. This gift card, value between € 5,- and € 150,-, can be spent in all hotels on HotelSpecials.nl. HotelSpecials’ weblog is nominated for Best Travelblog in the 2010 Travvies Awards. This award is granted to the most user friendly and inspiring websites. May | HotelSpecials.nl offers more than 2500 hotels! April | WUA research shows that HotelSpecials.nl is easy to find on the web. When searching for hotels in Antwerpen, HotelSpecials comes up second in the search engine. March | HotelSpecials.nl ranks Landgoed Duin & Kruidberg as Best Hotel in the Netherlands. BungalowSpecials.nl is renewed, offering an even better booking process. HotelWeek is launched in Sweden. December|Foundation Face This teams up with HotelWeek. HotelWeek supports Face This by purchasing t-shirts, donating the profits to charity. Face This collects more money for education in developing countries. October | HotelBooker B.V. ranks 37th in the Deloitte Technology Fast50. This yearly election nominates the 50 fastest growing technology companies in the Netherlands. September | HotelSpecials.nl offers more than 2000 hotels. BungalowSpecials launches its weblog, featuring weekly articles with the best travel tips, destinations and holiday suggestions. March | HotelSpecials.nl is nominated for the Thuiswinkel Awards 2009. The Nationale Thuiswinkel Awards foundation is created by Thuiswinkel.org, the association of online stores in the Netherlands. February | HotelSpecials.nl reaches a turnover record of 50 million euros, an increase of 35% compared to the previous year. HotelWeek.be is launched in Belgium. October | HotelSpecials.nl introduces the first HotelWeek. Price for a night in a 4-star hotel is € 25,- p.p. and € 35,- p.p. for a 5-star hotel. HotelSpecials launches its weblog, featuring weekly blogs about nice trips, destinations and hotels. HotelSpecials.nl is nominated in the Deloitte Technology Fast50 and reaches 5th place. August | HotelSpecials.nl launches its own YouTube Channel, which features hotel and destination video’s. November | HotelSpecials.se in Sweden exceeds its growth forecast. The amount of bookings is expected to increase with 400%. HotelSpecials.se will go from 2500 bookings to 10.000 bookings. HotelSpecials.nl is nominated for the 50 Best Webshops in the Netherlands and reaches 18th place. December | HotelSpecials.nl is featured in the Finest 50, as one of the fastest growing technology companies in the Netherlands. March | BungalowSpecials.nl is founded. HotelSpecials.be is launched in Belgium. March | HotelSpecials.nl is launched.